Martha Harris was on the cutting edge of quilt design when she chose to put smaller pieced stars in blocks between borders of “sashing.” Block quilts were just beginning to come into fashion, and they soon replaced framed medallions as the predominant layout. The name “Ohio Star” was invented long after the quilt, telling us nothing about the design’s regional origin. “Ohio Star” was a common variation on the eight-pointed star, and is found in quilts of many regions. Martha Harris was the wife of U.S. Congressman Benjamin Gwin Harris who, not uncommonly in Maryland, was a slaveholder and Confederate sympathizer. His outspokenness got him censured in Congress in 1863, but his military trial for harboring returning Confederate soldiers in 1865 was of dubious legality. None of this tumultuous history is reflected in his wife’s handsome quilt; but surviving artifacts sometimes are connected to interesting events in U.S. history. The border fabric is a large-scale furnishing chintz. A similar print is used for the quilt’s backing. 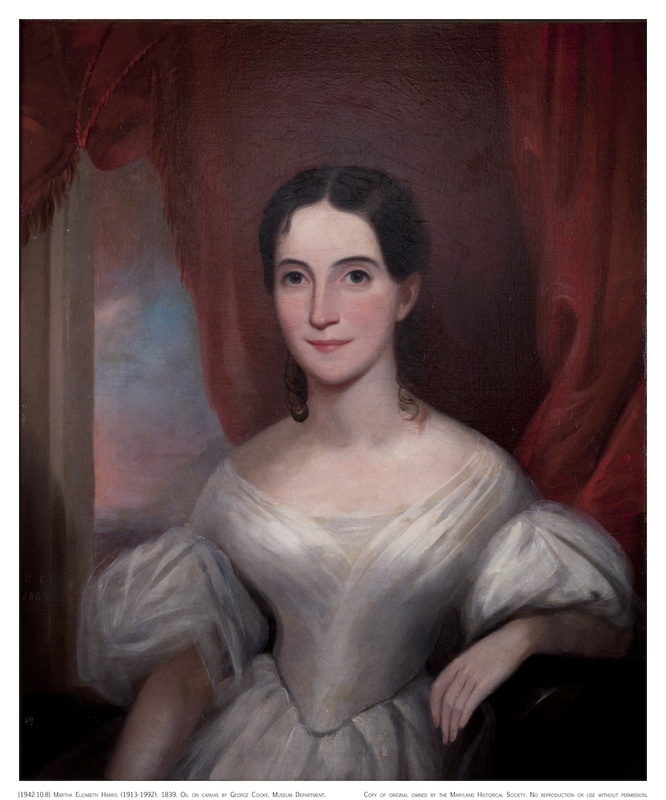 Martha Elizabeth Harris by George Cooke, 1839. Courtesy Maryland Historical Society, 1942.10.8.